We are delighted to have received a highly commended nomination in the Constructing Excellence in Yorkshire & Humberside Awards 2016 for our work on the restoration of Oakwood Clock, a project especially close to the heart of Group Chairman, Paul Mitchell.Generations have gathered under this much loved Leeds landmark on the corner of Roundhay Park, but in recent year it had fallen into such a severe state of decay it was threatened with demolition. 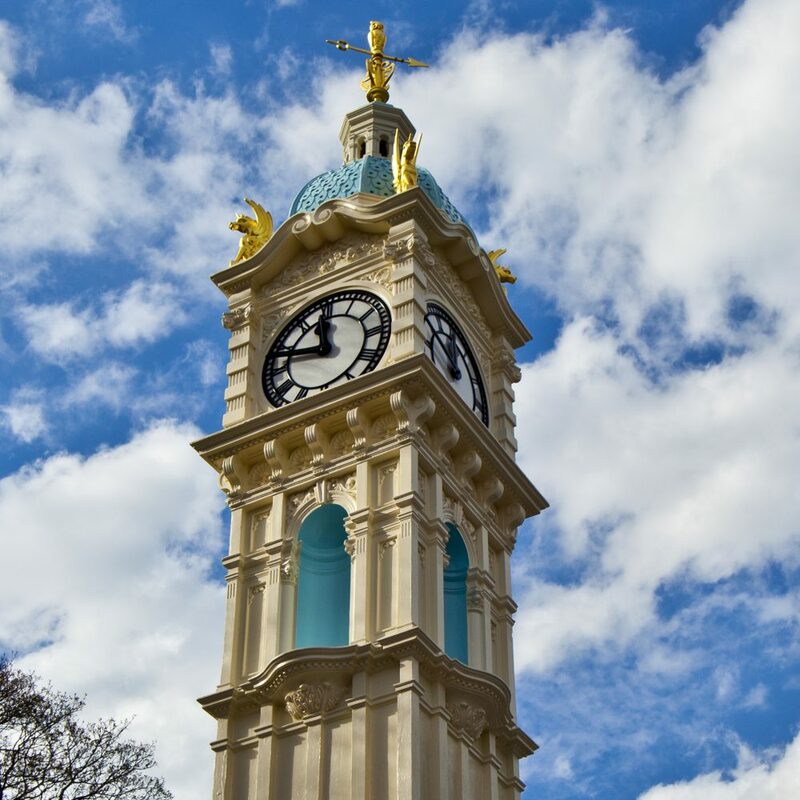 We have been involved in the campaign led by the Oakwood Traders and Residents Association to save the 112 year old clock tower since 2012, donating design, planning, public consultation and landscaping services to ensure the project progressed through Local Authority consents to a fully restored unveiling. Organised by the Centre for Knowledge Exchange at Leeds Beckett University, the awards recognise the very best companies, collaborations and projects sharing best practice and inspiring others to adopt new and better ways of working that deliver outstanding results. The Oakwood Clock Restoration Project was nominated in the Heritage category sponsored by Leeds Sustainability Institute.